Speeding down the freeway in a rush to celebrate with friends and family, or getting behind the wheel after several drinks at the company holiday party — this time of year is rife with opportunities to drive dangerously. But just one bad driving decision could end up costing you handsomely. It’s no coincidence that December is National Impaired Driving Prevention Month; it’s a time when road travel and celebrations peak. Alcohol played a role in 41% of fatal traffic accidents on New Year’s Day in 2015 and 44% on Christmas of that year, according to the National Highway Traffic Safety Administration. And speed is a major factor in traffic accidents year-round, the NHTSA reports. Dangerous driving behaviors like speeding and driving under the influence come with serious risks — a ticket, jail time, injury and death are just a few. Though cost may not be the most significant of these potential outcomes, it’s a notable one. No matter what time of year it is, a citation for speeding can run you a couple of hundred dollars, and the fines and penalties of a drunken driving infraction can cost thousands. But NerdWallet combed through the data in our insurance rate tool and found that such blemishes on your record can also raise car insurance rates by hundreds — or even thousands — of dollars when it’s time to renew your policy or shop for a new one. Across the country, a DUI will cost you an added 62%, on average, and speeding an additional 14%, on average, on your annual auto insurance policy. Depending on where you live, that could translate to hundreds of dollars a year. Driving dangerously will raise your rates the most in North Carolina. A DUI in the Tar Heel State can raise your annual rate 368%, on average — from about $872 to $4,077 — and a speeding ticket can raise it 62%, on average. The states with the costliest insurance penalties for drunken driving can more than double your rates. Those states are North Carolina (368% average rate increase), California (128%), Oregon (126%), Delaware (124%) and Vermont (103%). In some states, insurance companies are more lenient, increasing rates by less than 30% for a DUI. The states with the most modest rate increases after a DUI include: Louisiana (17% average rate increase), Maryland (19%), Utah (21%), Nebraska (28%) and Tennessee (28%). A speeding ticket may raise your rates more in some states than a DUI would in others. Speeding increases the cost of auto insurance the most in North Carolina (62% average rate increase), Wyoming (57%), New York (33%), Connecticut (27%) and Arizona (26%). Speeding may not always drain your pockets. In 19 states plus D.C., the insurance rate increase for one speeding ticket is less than 10%, on average, when compared with the policy price with no infractions. The difference in a speeding penalty versus a DUI penalty is minimal in some states, astronomical in others. In Louisiana, a speeding ticket will raise your insurance rates an average of 9%, compared with an increase of 17% for drunken driving, a difference of just 8%. In North Carolina, however, the difference is 306% — a 62% increase for speeding versus a 368% increase for a DUI. Using NerdWallet’s insurance rate tool, we looked at rates in each state and the District of Columbia for drivers carrying liability coverage, uninsured motorist coverage, underinsured motorist coverage in states where required, and collision and comprehensive coverage with a $500 deductible. We compared the rates of sample drivers with a clean driving record to those with one speeding ticket for driving 11 to 15 miles per hour over the speed limit or those with a drunken driving infraction. These new rates wouldn’t be applied immediately after the incident, but rather when you are ready to renew your policy or shop for another. Also, your driver’s license will likely be suspended after a DUI infraction, and in some states your insurance company may cancel your policy. In any case, a drunken driving infraction can stay on your record for years to come, and you’ll face these higher rates when you go to find a new insurer. For the complete methodology, click here. Preventing rate increases caused by dangerous driving is simple: Drive safely. Plan ahead so you’re not rushing, and never get behind the wheel after drinking. But if the mistake has been made and now you’re facing higher rates — or an insurance company that no longer wants your business — shop around. A 2015 NerdWallet study found that comparing car insurance quotes from a variety of insurers could save drivers $859 per year, on average. If your driving record is less than perfect, you might not get cheap car insurance, but you stand to find the best deal given your circumstances if you check with multiple companies. You may have to look at auto insurance specifically for high-risk drivers if you have numerous blemishes on your driving record. Unsurprisingly, you’ll pay more for a high-risk policy, but if you have several accidents or DUIs, it might be your only choice. The auto insurance industry organization AIPSO can help you find a high-risk auto insurer in most states. The consequences of rash driving behaviors are many, and the risks serious. Exercise caution no matter what time of year it is and you could save some money, added stress and maybe even a life. Scroll through the table to see how these infractions could affect the insurance rates in your state. 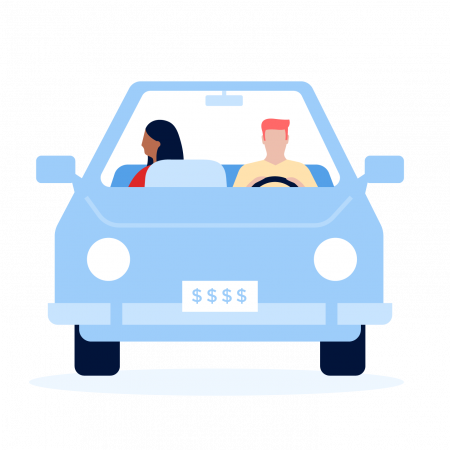 To analyze auto insurance rates, NerdWallet used its insurance rate tool and established a base rate by averaging the three lowest quotes for 30-year-old men and women with clean driving records in 10 ZIP codes in each state plus the District of Columbia. Sample drivers carried 100/300/50 liability limits, 100/300 uninsured motorist coverage, 100/300 underinsured motorist coverage (in states where required), and collision and comprehensive coverage with a $500 deductible. A 2012 Toyota Camry was used in all cases. Using the profile above, we tested rates after a speeding ticket by adding an infraction for driving 11 to 15 mph over the posted speed limit. To test rates after a DUI, we used the same base profile with an added infraction for a blood-alcohol content greater than or equal to .08%.